Toppings: You can use whatever you like! 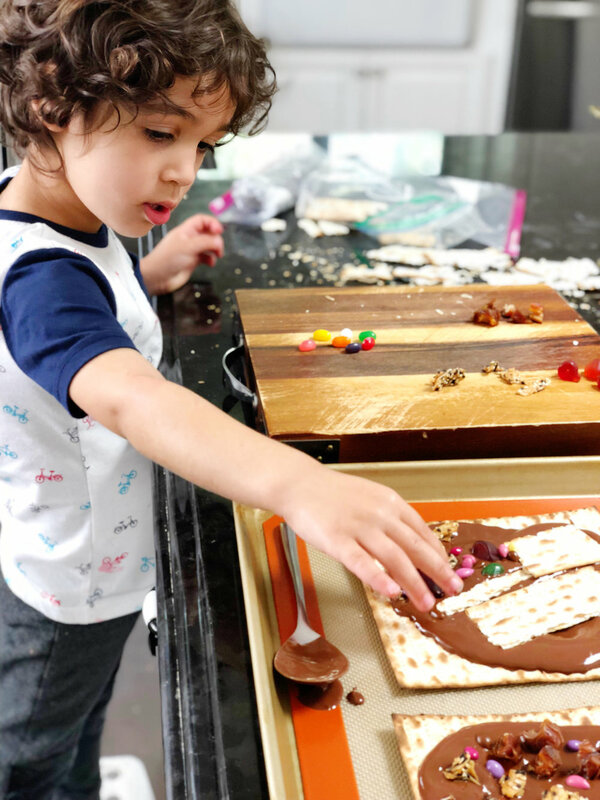 We chose from the snacks we had in our pantry: Trader Joes Chocolate Covered Sunflower Seeds, Toasted Coconut Sesame Snack from Trader Joes, Gummy Fruit Snacks, Dates, and Jelly Beans! 1. 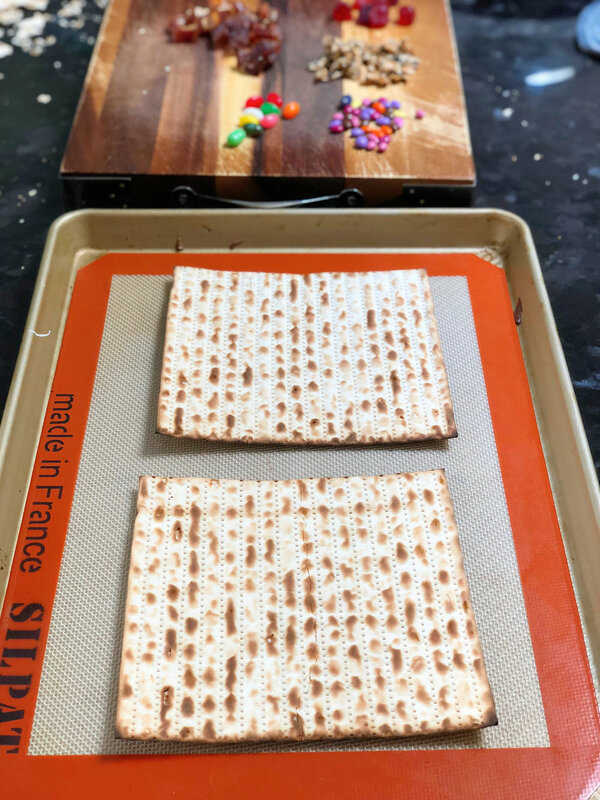 Place two pieces of matzah onto a sil pat (or parchment paper) lined sheet pan. 2. Place all the chocolate chips and coconut oil into a glass bowl. 3. Place the bowl over a sauce pan with 1/2 inch of simmering water (med-low heat). 4. 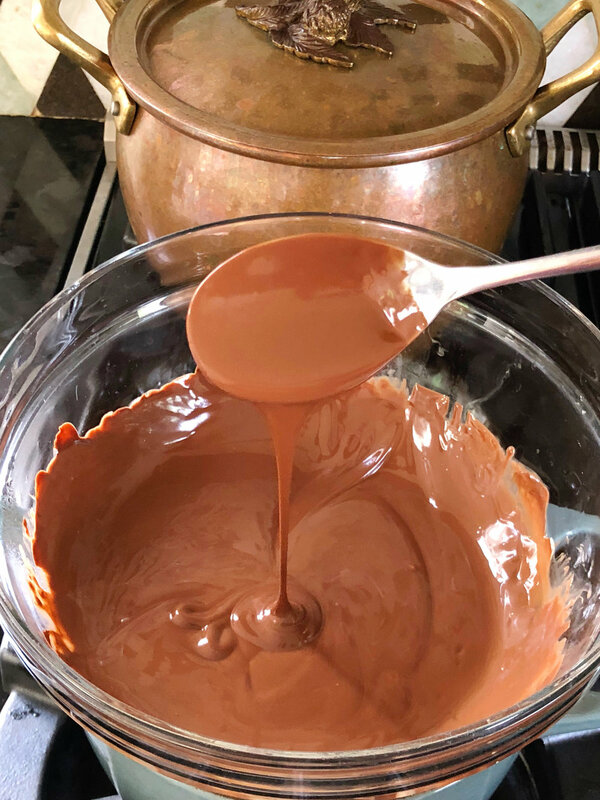 Stirring constantly melt the chocolate until completely smooth and you can drizzle with a spoon. 5. 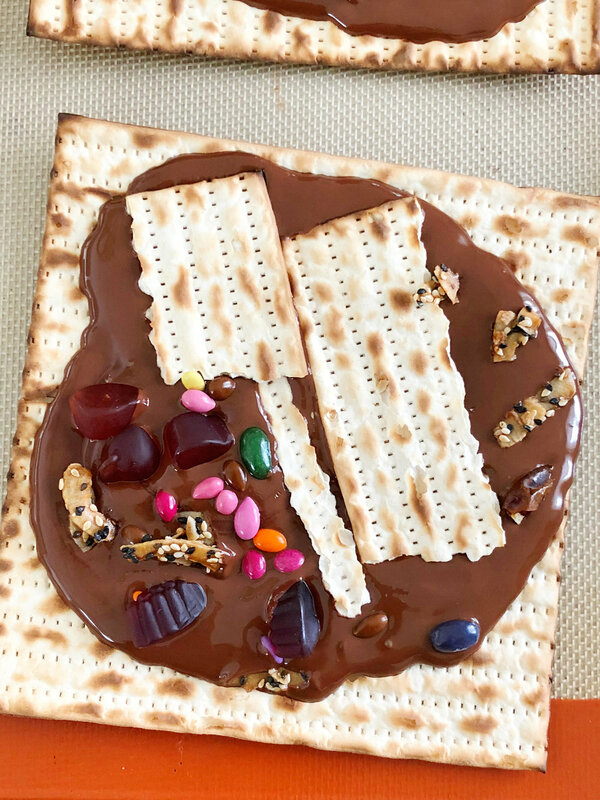 Now, pour half the chocolate mix over each matzah and spread around in an even layer with a spoon or spatula. 6. Choose your toppings and decorate! 7. When you are done place the matzah in the fridge and let chill for an hour. 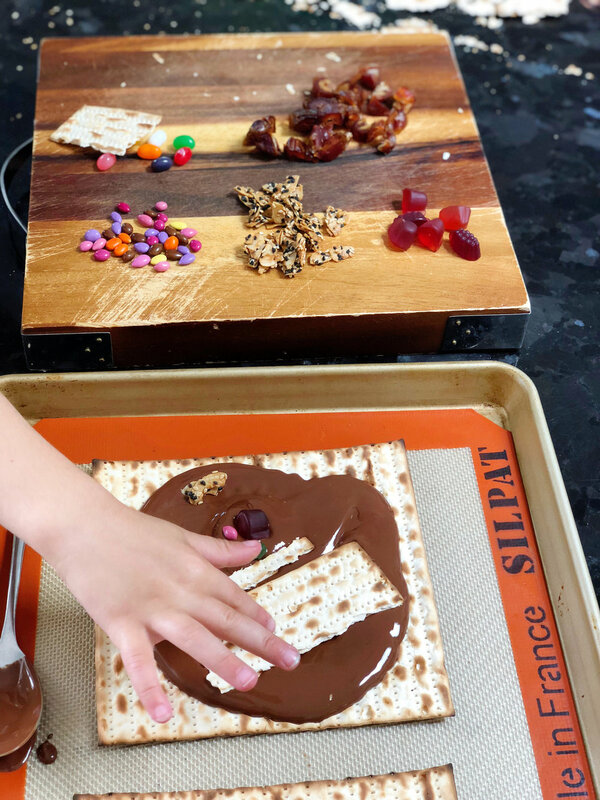 When the chocolate matzah bark has cooled down and hardened just break it apart and enjoy!